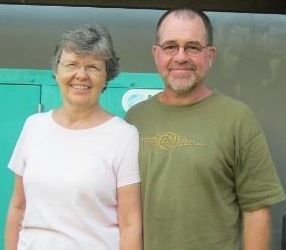 David and Carol Kramka’s roles in Papua New Guinea are directly supporting 200 translations in progress in the Pacific region. As Assistant Program Manager, David oversees day-to-day activities at several translation centers while Carol, as Site Volunteer Coordinator for the Ukarumpa center, handles logistics for volunteer teams. Both are thrilled to take on tasks that support the translators’ work, and equally thrilled to have been prepared by their life experiences for tasks that encourage and assist mother tongue partners, workers and families in remote locations.